Beaumont Center is a restaurant and lodging center at the intersection of New Circle Road and Harrodsburg Road. It's a five mile drive south of downtown on Broadway / Harrodsburg Road. The Center offers three hotels and seven restaurants. The food choices include Indian, Mediterranean, Pizza, Breakfast, Mexican, Contemporary and Special Occasion. Beaumont has taken serious hits recently. It has lost Applebee's, El Charros, Mi Mexico, and Asian Fusion, all very good and very popular stops. But it still has a strong lineup. Azura is one of the city's finest Contemporary and Special Occasion restaurants, Masala is one of the best Indian outlets and Sahara is one of the best Middle Eastern places. Texas Roadhouse is a good family steakhouse. Donato's is probably the best carryout Pizza outlet in the city. Sure, Quiznos is "fast casual" Mexican, and Waffle House is a national breakfast franchise, but they're very good at what they do, and their Beaumont locations have a loyal neighborhood following. Azura, Sahara and Masale are absolutely worth driving in from out of town for. Azur is the most upscale restaurant in Beaumont, with a very New York style decor and a cutting edge menu. Finest of the appetizers is the Fondue. You'll get a dipping pot with breads and fruits. The Asparagus With Crab is delicious. Six salads are headed by the Lola Rosa (lettuce, beets, gouda cheese, cucumber and buttermilk dressing) and Napolean (mushrooms, avocado, tomatoes, red onion, goat cheese, tomato marmalade). Azur's entrees are all great, but the stunners are the Roast Elk (asparagus, squash) and Braised Rabbit (smoked bacon, mushrooms, pasta, asparagus). Their Pan Roasted Scallops are among the city's best, and the Ahi Tuna (glazed and wrapped with shrimp, calamari pad thai, citrus carrots and ponzu dipping sauce) is close behind. The other entrees include Roast Duck, Idaho Salmon, Alaskan Halibut and Gnocchi (a potato dumpling filled with chicken or shrimp, mushrooms, goat cheese and herbs). Desserts rotate each day, but are almost always outstanding. If anyone in your group just wants a sandwich, Azur's Lamb Burger (roast red peppers & feta cheese, served with lemon cabbage slaw) is one of Lexington's best. From April through November, there's a great patio. This is one of South Lexington's most popular establishments, so on a Friday or Saturday night either eat early or expect a wait. 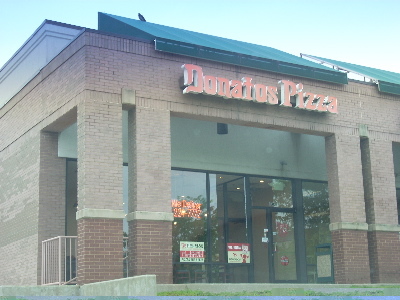 Elsewhere on this website, we rank Donato's the best home delivery pizza outlet in Lexington. Their Beaumont location upholds this lofty ranking. It's pricier than its rivals, but what's a few dollars when you want good pizza?? Donato's is not into gimmicks. It doesn't offer cheese filled crust, extra thick anything, beer baking, folded crust, double toppings, or double deep dishes. But its Marghareta and Chicken Spinach Mozzarella pizzas are the best tasting we've found among the home delivery outlets in Lexington. And there's more. If any of your group are not quite in the mood for pizza, but want something similar, Donato's offers five kinds of Strombolis, nine kinds of Hot Subs, and two kinds of Hoagies. We particularly like the Roast Veggie Sub. There are also Wedge Fries and a Three Cheese Garlic Bread you can't find anywhere else. If you're staying at one of Beaumont's three hotels, and plan to order out, this is your best option. Masala abandoned its Nicholasville Road location to focus all its energies into this one Beaumont Center location. It features the chef who made Tandoor's so popular. It therefore comes as no surprise that the Masala menu is similar to Tandoor's. Masala is a double storefront so while it is still not as large as Tandoor's or India Gardens, it is much larger than its other storefront rivals. There are the usual standards : nine breads, nine appetizers, three soups, 11 chicken entrees, nine lamb entrees, seven seafood entrees and 18 vegetarian entrees. Among the appetizers, we like the Meat Samosa, a crisp turnover stuffed with spiced lamb and peas, fried in vegetable oil, served with tamarind sauce. The spicy Indian pickles are an interesting "accompaniment." 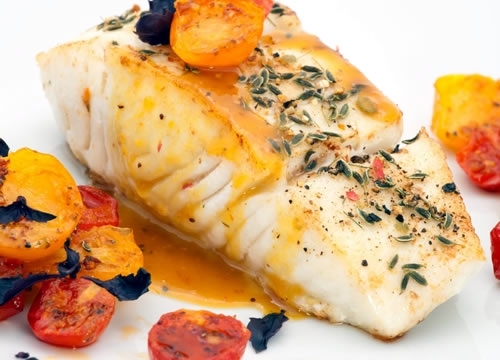 One difference from Tandoor is Masala works a heavy cream sauce into many dishes. Many items are cooked in a tandoor, the classic Indian clay oven into which skewers of meat or veggies are lowered and baked at super high temperatures to seal in the juices and flavors. Here, too, we recommend the Platter, a sampler of all the other entrees and plenty for three, even though it is only advertised for two. 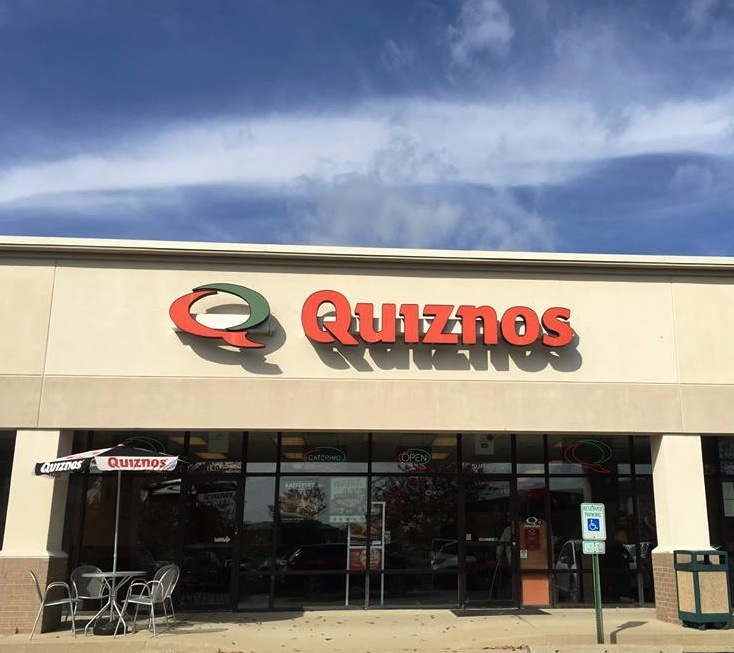 Quiznos is a national chain headquartered in Denver which specializes in toasted submarine sandwiches. They take great pride in their artisan breads and cheeses, whose flavors are heightened by the toasting process. Their most popular line is their dozen Ciabetta sandwiches, and the best of this group is the Satisfire : slow roasted pulled pork, honey ham, bacon, cheddar cheese, serano pepper, sauteed onions, jalapenos, pickles and tomatoes. They also have lines of Steak, Chicken, Turkey and Deli and Veggie Sandwiches, plus Salads and Soups. Their homemade Raspberry Tea is worth stopping for. Quiznos started as an upscale alternative to Subway, but of course the prices are a bit higher, too. Jimmy Johns has also entered this gourmet sandwich market, and the competition keeps all three franchises on the cutting edge. There are small tables so you could eat here, but Quiznos is primarily a carryout place. Sahara is run by three Sayyed brothers who worked in other restaurants before opening their own. It shows. They know what they're doing. The appetizers are a treasure of choices, of which we like the Falafel, Kibble, and Chicken Wrap best. 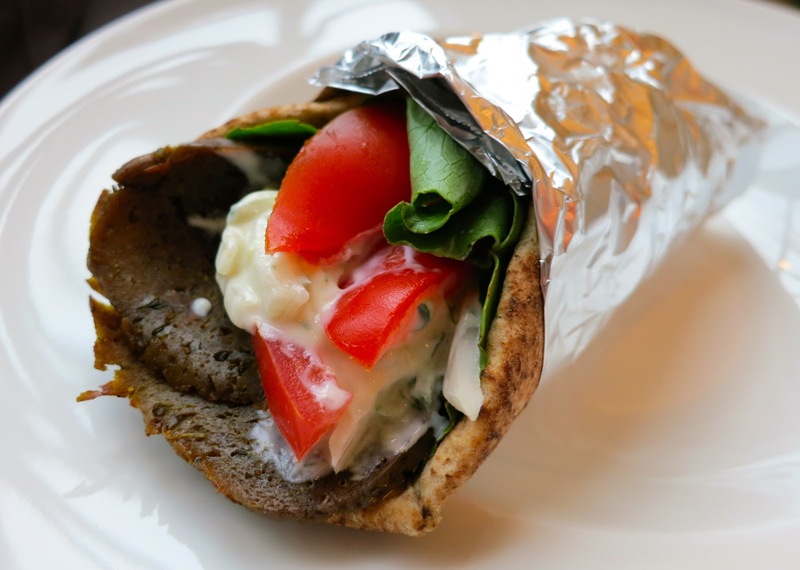 The Falafel has a delicate flaky exterior with a steaming center of mixed vegetables. The Chicken Wrap is the same thin crust around a spicy chicken paste. Kibble is a mix of bulgar wheat, lamb, spices, pine nuts and onion. You must order the Babaganoush Salad. 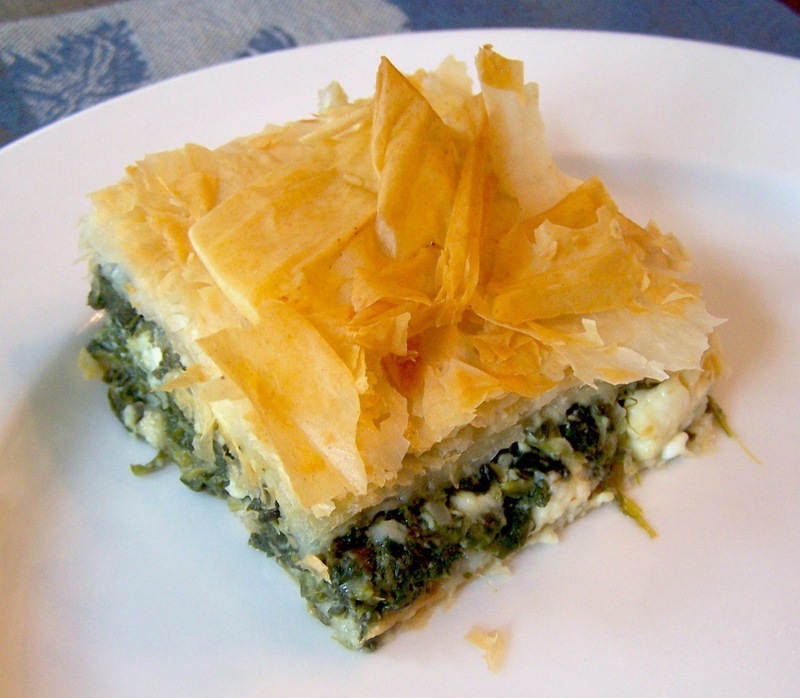 It has a smoky flavor, with finely chopped roasted eggplant, tahini, garlic and lemon. But the cucumber yogurt salad is also outstanding. Their Lentil Soup is made with yellow lentils and has turmeric added for a rather unusual flavor. The Specialty of the House is their Lamb or Goat Chops. Either is great. They could seriously compete for best entree of any restaurant in town. However, their other entrees are intriguing as well. We particularly like the Lamb and Beef Shawarma Over Hummus. The meat is cut into thin strips, done on that vertical rotisserie. Some people consider Sahara too casual; they use plastic plates and utensils and the storefront is basically undecorated. Just remember you're going for the food. A "road house" was a restaurant out on the highway far from any town where travellers could stop for a long break, order a hearty meal, and spend half an hour at the bar while they fixed it. A road house tradition was bowls or baskets of peanuts at the bar where men could shell them and toss the shells on the floor. 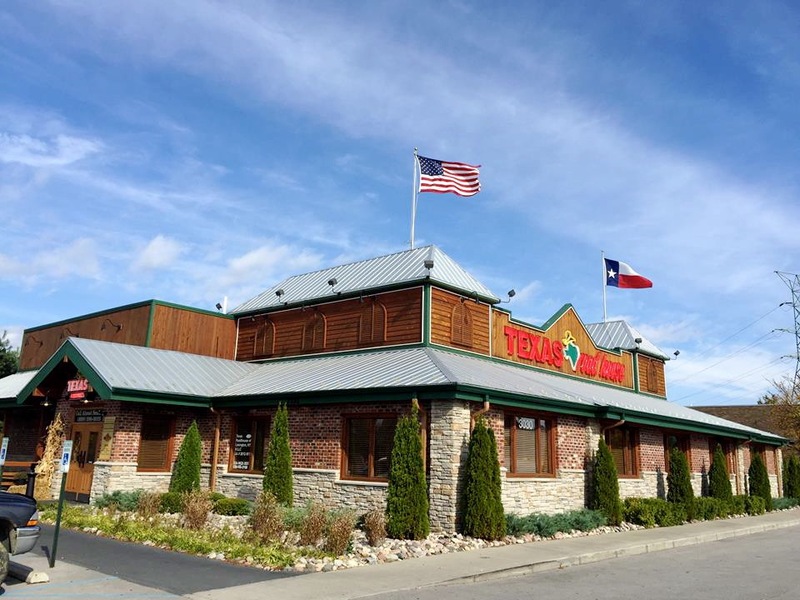 Texas Road House tries to honor this tradition with its emphasis on steaks, ribs and beer for the men and chicken and seafood for their families and, sure enough, lots of peanut shells on the floor. Texas Road House really does do a fine job with steaks for a lower price than most steak restaurants. But this is their reputation, and people tend to overlook their other entrees. The ribs, seafood and chicken here are competitive with the restaurants specializing in those foods. Even the soups are good. Beaumont's Texas Road House is a beautiful facility and a very classy place to enjoy a meal. Waffle House is famous for their waffles but ironically their menu features everything else. They promote their Steak & Eggs, Pork Chops & Eggs, Grilled Chicken & Eggs, Omelettes (Cheesesteak, Chili Cheese, Jalapeno and Ham & Cheese), Egg Sandwiches, Hash Browns and classic EggsnBacon or Ham & Egg plates. They're also pretty proud of their biscuits, sausage and bacon sides. Finally, they get around to their Waffles. Their basic is the classic Butter Milk Waffle. There are Double Waffles and Waffles With Sausage or Ham or Eggs. You can pick from Pecan, Chocolate Chip, Blueberry and Strawberry. 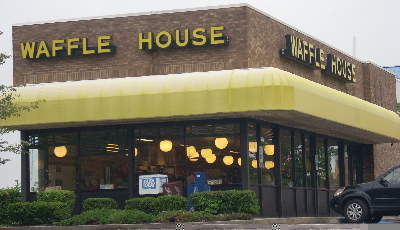 Actually, we regret the evolution of Waffle House. For half a century, they served ONLY waffles, two pages of every variation imaginable. We could try waffles here we could never find anywhere else and couldn't fix ourselves. Now they've diversified, but the waffle choices are narrowed. Luckily, they still do a good job, with waffles and everything else.